This video is amazing, I really enjoyed putting this into my head! 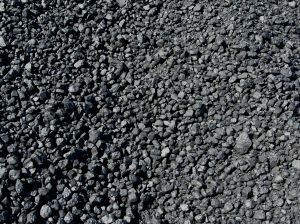 Coal formed during the carbonifurous in large quantities because plants had just started producing lignins and bacteria didn't know how to break it down yet so the material basically piled up en mass without decomposing and being reintroduced into the carbon cycle. Great lecture, from a great guy. A few pauses in-between sentences would make this lecture even better. One important thing the professor did not talk about is this; coal can be reformed into alcohol, as all carbon based materials. The EPA, about 20 years ago, approved of "higher mixed alcohol" as an additive to gasoline to make it burn cleaner. Also, higher mixed alcohol can replace gasoline and burn about 95% cleaner in most cars, trucks and ships. Higher mixed alcohol is also biodegradable, water soluble and sustainable. Please do your "due diligence" on this matter, you will be surprised. ...keep going Oscar, very good! HUURRRR DURRRR StOp BuRnInG cOaL bAn cOaL!! I like how immediately after describing the composition of soot as "complex mixture..potentially hazardous" he then goes on praising human ingenuity for discovering the application of spreading soot on your cabbage plantations to repel slugs. I think the slugs are the smart ones. I love this man, He never stops. 48:29 Focus should have been on the smoke not the flame. The camera operator must be embarrassed of this shot. "Are you ok there, Oscar? Don't set the barn on fire, Oscar. Well, it took him longer than usual but the non-stop streaming consciousness and the constant flow of thoughts and words eventually took hold. There's nobody like him. We salute you Andrew! This is fascinating. The presentation is a bit manic, but fun. Andrew is such an inspiration. As an educator, he is amazing! Clara will keep my flame going also. Poor Oscar ..